These Tahini Mango Granola Bars are my answer to easy breezy healthy snacking or even a grab and go breakfast! Loaded with protein-packed seeds, fruit, and savory tahini, they’re the perfect way to fuel your day and satisfy your hunger. I used mango as my fruit add-in. It’s a little unusual but I highly recommend that you try it! While I keep plenty of nuts in my pantry and freezer, I like to create recipes that take note of common food allergies. And since peanut allergies are rampant these days, I intentionally came up with this tasty combo. Tahini Mango Granola Bars manage to skip the nuts without missing a single beat when it comes to nutty flavor. If you aren’t concerned with nut allergies, you can certainly adjust the ingredients to include a nut butter. 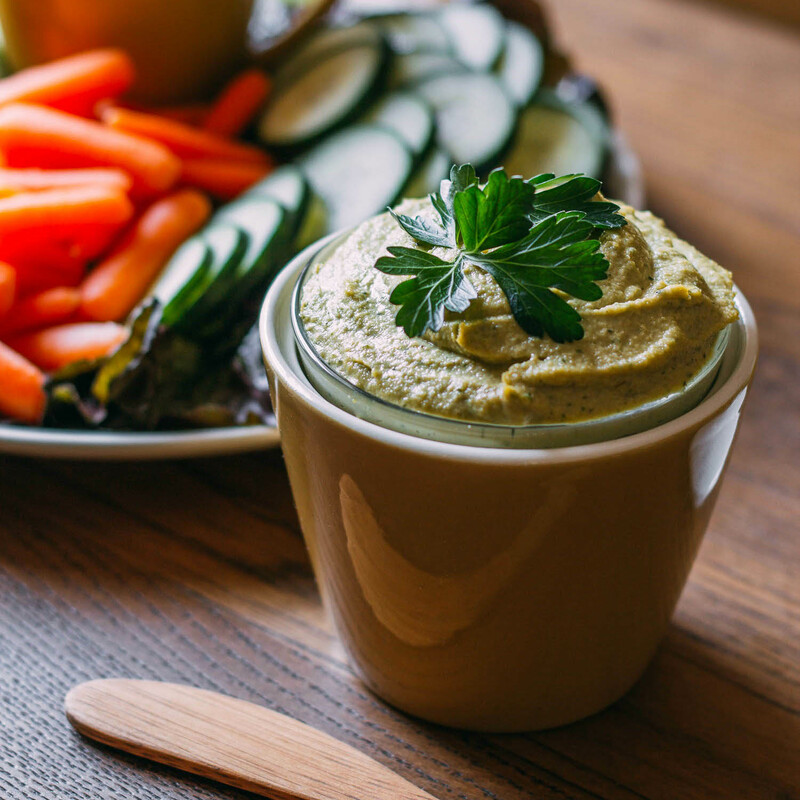 The tahini can be substituted with almond or other nut butter as long as you remember essential nutritional differences. For example, if you switched out the tahini for peanut butter, remember that peanut butter has a lot more carbohydrates than tahini. I’m a huge believer in finding ways to use what you have on hand. At my house, the dried fruit options vary from typical raisins and dried cranberries all the way to more exotic choices like dried mango, golden berries, and goji berries. 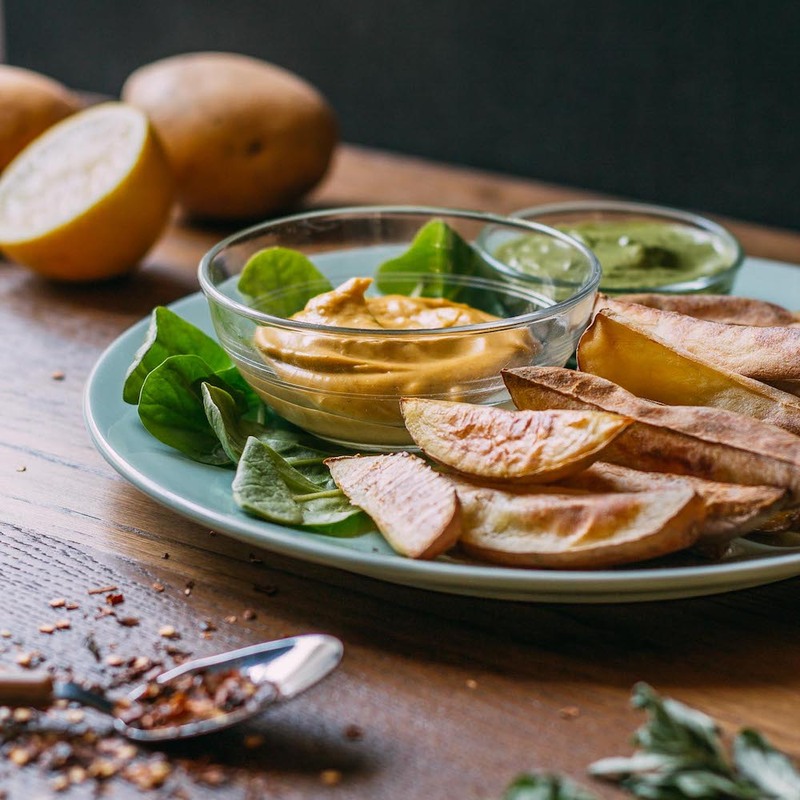 In this recipe, I ended up going with dried mango because I love, love, love, how the sweet mango pairs with the tahini. But by all means, mix up a batch and try some different pairings. When it comes to making fun stuff like granola, let thy imagination run wild! Speaking of variety, for breakfast, I like to crumble up a Tahini Mango Granola Bar in a bowl, cover it with plant-based milk and sprinkle it with chopped fresh basil… oh my! I know what you’re probably thinking. Who eats basil for breakfast? This herb-loving plant-eater, that’s who! 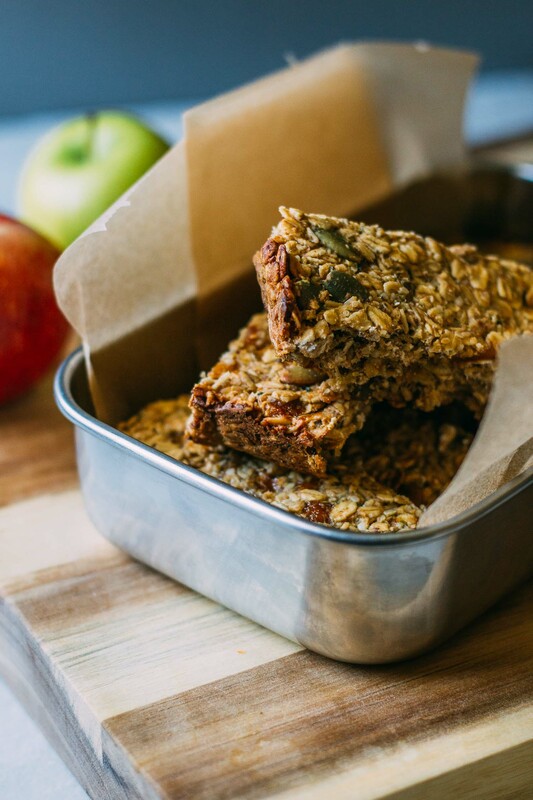 Remember, when it comes to mixing up a batch of homemade granola bars… go wild! 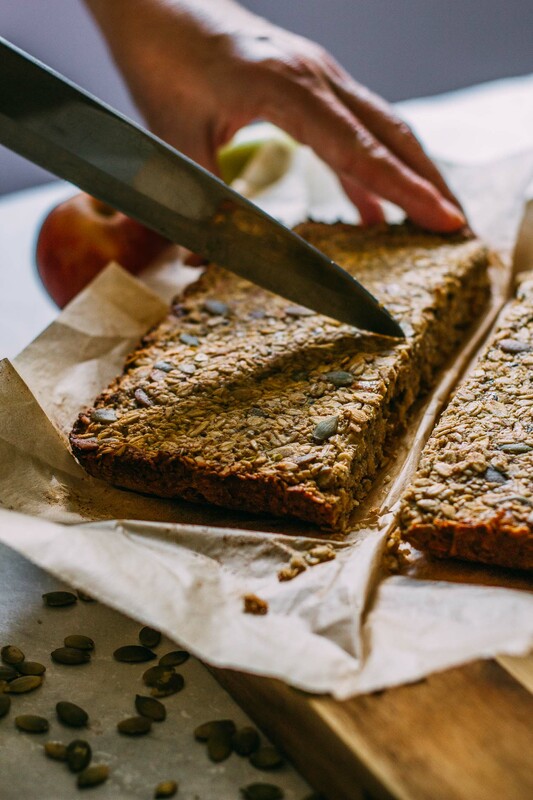 I can’t say enough about these sweet and savory Nut-Free Tahini Mango Granola Bars. They’re a nutritional delight that I make every couple of weeks or so. When the last crumb of the current batch is snagged, my heart gets a little bit sad. The good news is that it takes only a few minutes to mix up a fresh batch and as it bakes, your house fills with a heavenly aroma. 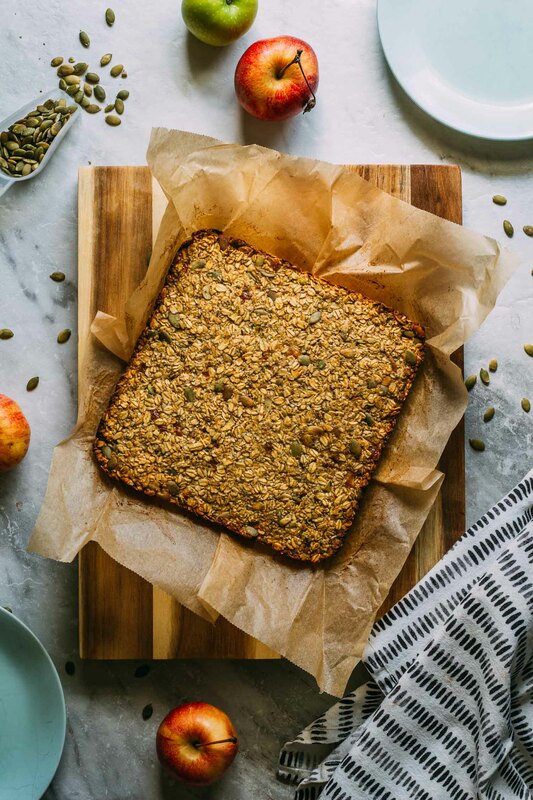 The fact that its nut-free, gluten-free, refined oil-free and dairy-free makes these beautiful granola bars super easy to share with everyone at gatherings. 1/3 cup of dried fruit chopped small - I used this mango... Mmm, Mmm. Mmm. 1/2 cup of tahini - I appreciate this bulk deal on my favorite organic tahini. First, stir the flaxseed meal and three tablespoons of water together and set aside. Next, preheat oven to 350º Fahrenheit. To get your pan ready for this delicious granola mixture, line an 8 x 8-inch baking dish with parchment paper for easy removal and slicing. I used a baking dish similar to this one. If you're using something such as mango for the dried fruit portion, tear it into small chunks by hand and set aside to add in later. If the dried fruit you are using is dry and leathery, soak it in a bit of hot water and add it to the granola after it has had a chance to rehydrate a bit. 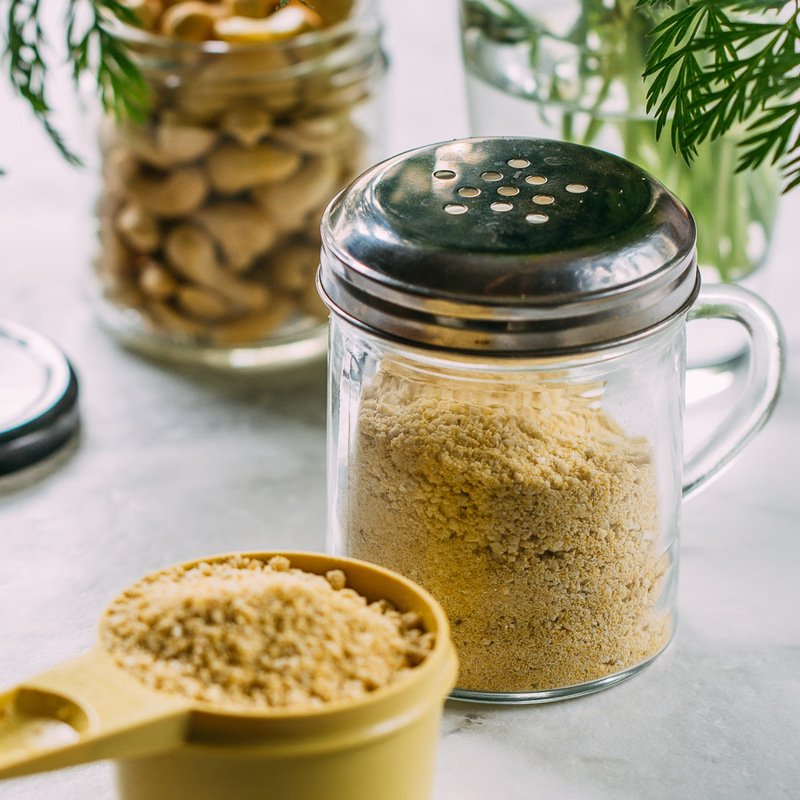 In a food processor, grind the 1/2 cup of oats into oat flour and place the flour in a large mixing bowl. Go ahead and add the other 2 1/2 cups of oatmeal to the mixing bowl at this time, too. Next, slice the apple into wedges. Place the fresh apple wedges into your food processor and chop into chunky textured applesauce. Empty the chopped apple into a large mixing bowl along with the oats. Now, in the empty processor, combine the three additional tablespoons of water along with the pure maple syrup, tahini, and sea salt until it comes together in a smooth consistency. And while the processor is running, drop the pitted Medjool dates into the processor one at a time, possibly tearing small pieces of the pitted dates to add a little at a time to avoid ending up with a massive lump of unblended Medjool date. Run the processor until you've achieved a very smooth date paste. Scrape the date paste into the large mixing bowl along with the other ingredients. Finally, add the hemp seeds and pumpkin seeds to the oatmeal and other ingredients already in the mixing bowl. Add the set aside chopped dried fruit, drained if it's soaking. Also, add the flaxseed mixture that you set aside earlier. Stir everything to combine. Press the oat mixture into the parchment lined baking dish and bake for about 30 to 35 minutes or until it looks slightly golden and your kitchen begins to smell like heaven. If you prefer a softer serving of granola, bake your granola for a shorter amount of time. You could even turn this into a warm oatmeal bowl by cooking it less and topping it with something creamy like a scoop of plant-based yogurt. Cool completely, cut into bars, store in a covered container and enjoy! Share them easily with co-workers or classmates by individually wrapping in a sheet of parchment paper and tying with string. These make an excellent healthy office treat to share since they are protein-packed, refined sugar-free, nut-free, gluten-free, refined oil-free and dairy-free! 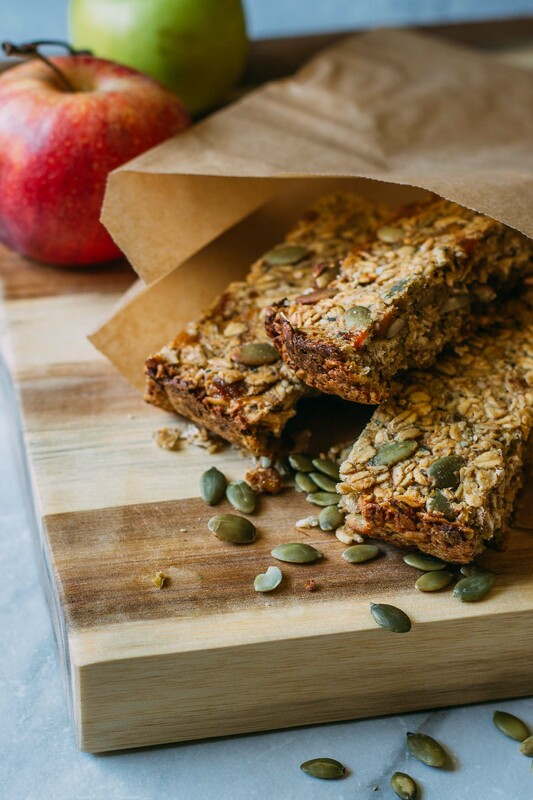 You can add even more protein to these bars by pressing a few additional pumpkin seeds to the top of the bars before baking. I have not tried it yet, but I believe you could also opt to add a scoop of plant-based protein powder to make these more calorie dense and increase the nutrients. Regarding the dried fruit of choice, you can opt to add an extra finely chopped Medjool date or two if you do not have any other dry fruit on hand. 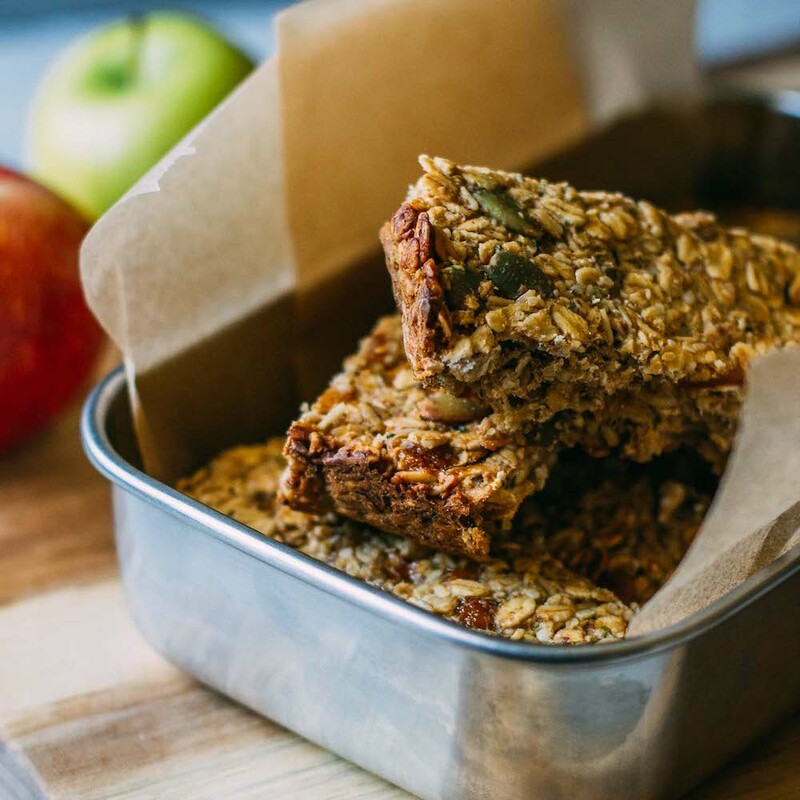 I prefer to use tart apples in my sweet baked goods, but any fresh apple will bring the right amount of moisture to these homemade bars.